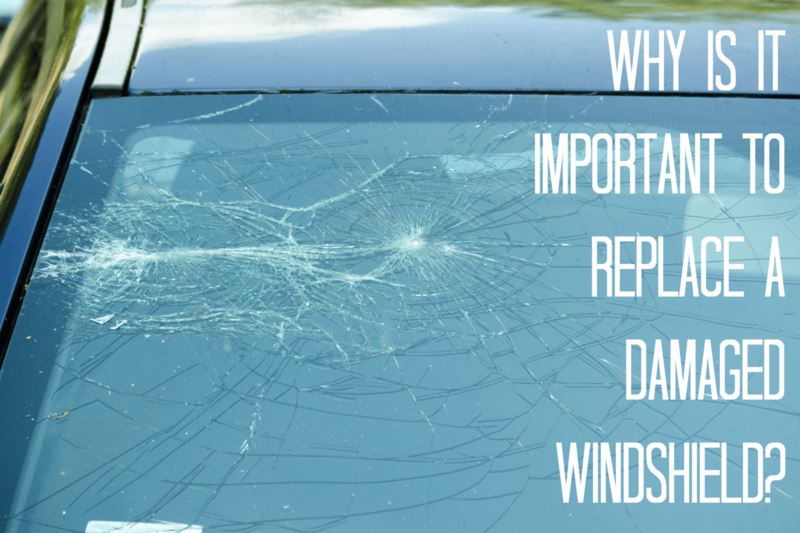 Why Is It Important to Replace a Damaged Windshield? The windshield is an integral part of your vehicle, but it is not just there for aesthetics. It protects you and your passengers from the wind, dust, and other flying debris. The windshield also contributes to the aerodynamic resistance of your vehicle, so you can drive at high speeds without your car becoming unstable. Windshields are made of glass. Therefore, they are susceptible to cracks and chips. Rocks, birds, hail, and those terrible Arizona sandstorms can lead to windshield damages. Although minor cracks and chips on your windshield may seem harmless, it can jeopardize your safety and potentially put you at the wrong end of the law. Here are a few reasons why you need to immediately address chips and cracks on your windshield. A. A Stitch in Time Saves Nine: The aphorism that “a stitch in time saves nine” rings true for damage to windshields. A minor crack in your windshield may seem like something you can ignore, but it weakens the entire structure. This means a chipped or cracked windshield is likely to be severely damaged if it sustains a strong impact. This could lead to some serious injuries and could require hundreds of dollars to be replaced. Under some circumstances, a small chip or crack may not necessitate the replacement of a windshield. It could be repaired at a relatively cheap price. However, when you ignore the crack or chip, and it becomes severe, it would be impossible to fix, and a full replacement of your windshield would be required. B. Safe Driving: If there is damage to the windshield that is obstructing your view of the road, you run the risk of getting involved in an accident. It is essential to have a clear vision of the road to drive safely. However, this is impossible if there is a chip or crack on your windshield. Sometimes, it is not that you do not see a portion of the road, but that your overall visual accuracy is affected. For example, depending on the location and angle of the crack on your windshield, you may misjudge the distance of other cars or pedestrians. A cracked windshield may even prevent you from seeing obstacles on the road until it is too late to avoid them. Your ability to drive safely could also be compromised by debris flying in your face if you have a hole in your windshield. Ultimately, the price of repairing or replacing a windshield pales in comparison to the cost and troubles involved if you get in an accident because your vision was undermined. C. Protection: It may come as a surprise that your windshield contributes to the overall protective features of your car. For example, if you are in a collision and your car’s airbags are released, they bounce off the windshield in the process. If your windshield is cracked or chipped, the force could break it into pieces and cause injuries. Your windshield could also prevent you from being flung out of your car if you are in a serious accident. However, if the structural integrity of your windshield is compromised, its ability to protect you in this way is weakened drastically. D. Traffic Violation: In some states (including Arizona), you could be cited for traffic violation if driving around with a cracked or chipped windshield. The penalty that you can be charged for a damaged windshield may be way less than what it costs to fix the crack or chip. But having a run-in with the law doesn’t just cost you money, it also ends up costing you precious time. It can break your car’s seal and leave it susceptible to damage from the climate as well as affect the efficiency of your car heater or air conditioner. Your interior cabin my not be so quiet when driving with a windshield that has its integrity compromised. It detracts from the overall appearance of your car. If you are in Phoenix, Arizona or neighboring cities and you are looking to have your windshield fixed, Virginia Auto Service is your best choice. We are a full-service auto repair shop with over 25 years of experience. At Virginia Auto Service, we put a priority on providing excellent customer service. Give us a call today on 602-266-0200 or schedule an appointment online.